UBC Swing Kids will be hosting dance lessons to live Jazz. Please Note: The 8:15 pm concerts are reserved for choir students. Concert band and Jazz band students are welcome to attend if space is available. Music provided by the St. Francis Choir under the direction of Ms. Brigida Battistessa. Mass will be celebrated by Father Dale Normandeau. Scott Leithead is the founder and Artistic Director of Canada's Kokopelli Choir Association and TIME Association from Edmonton, Alberta. 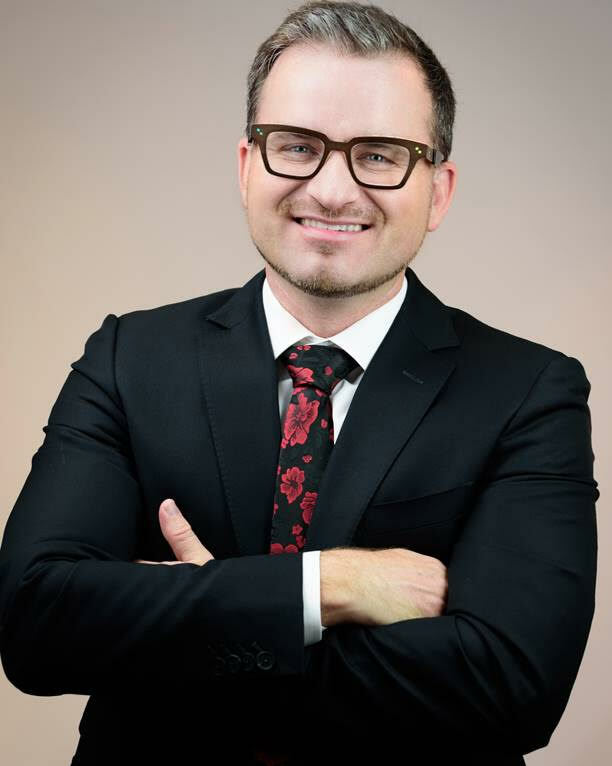 He has been invited to conduct provincial, national and state honour choirs on twenty-five occasions and he has presented workshops in North America and beyond. Notable appearances include: conducting the Alberta Youth Choir for Choir Alberta’s 40th Anniversary; conducting the Ellison Canadian Honour Choir on five occasions; conducting the 2016 ACDA NW Regional Youth Choir in Seattle. He has adjudicated both the ACCC National Competition for Amateur Canadian Choirs, the Kathaumixw International Choir Festival (2014 and 2016) and Finland’s Tampere Choir Festival in 2017. Under his direction, Kokopelli was a winner of both the 2015 CBC National Competition for Canadian Amateur Choirs and the 2015 and 2016 Canadian National Music Competition. Scott has a passion for music from southern Africa and he has been invited to work with choirs in South Africa and Namibia on numerous occasions. In 2008/09, Scott was on sabbatical in Namibia where he worked with the Mascato Youth Choir and many other choirs in southern Africa. Scott’s passion for innovative and unique choral music experiences has shaped the direction of the Kokopelli Choir Association. 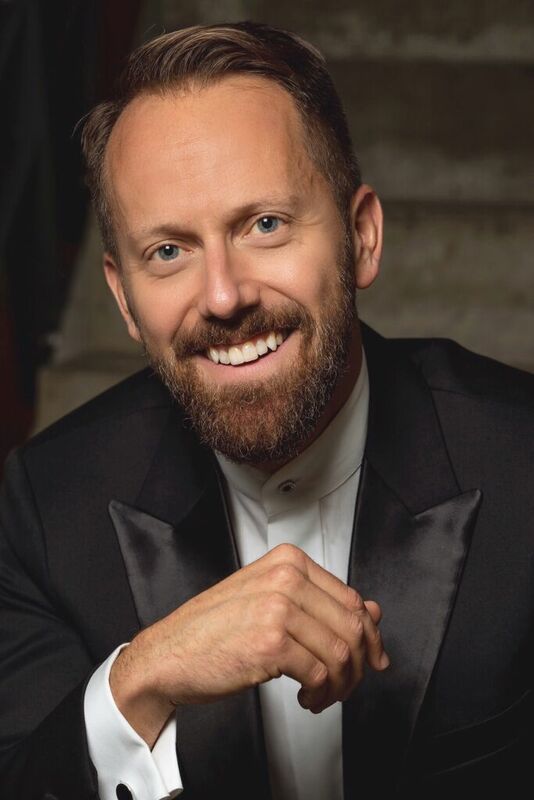 This season Scott will return to conduct the Manitoba Provincial Honour Choir for the 4th time as well as the 2019 Ellison Canadian Honour Choir (Ottawa). He will be adjudicating festivals and giving workshops in Ontario, San Francisco, Vancouver, Whistler, Newfoundland, and Saskatchewan. His contemporary vocal ensemble ‘Nuf Sed was excited to tour Japan in January 2019. 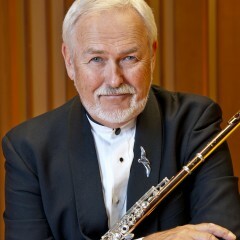 Robert Taylor is Professor of Music and Director of Bands at the University of British Columbia in Vancouver, BC, where he conducts the Symphonic Wind Ensemble, teaches graduate and undergraduate conducting, and serves as Chair of the Woodwind Brass and Percussion Division. 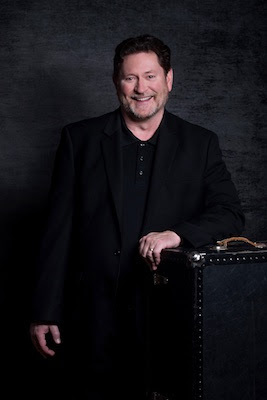 With a career in music education spanning over twenty years, previous appointments include the University of Puget Sound in the state of Washington and Eureka High School in northern California, where ensembles under his direction earned recognition by Downbeat Magazine, the Selmer Corporation , and Grammy Signature Schools. Dr. Taylor received the Master of Music and Doctor of Music degrees in conducting from Northwestern University and the Bachelor of Arts degree in Trumpet and Music Education from Humboldt State University. He maintains an active schedule as a guest conductor, with past engagements including performances with the Vancouver Brass Project, Pacific Symphonic Wind Ensemble, and Chicago - based contemporary music group, the Maverick Ensemble, in addition to collaborations with a wide range of international artists — from brass virtuosi Allen Vizzutti, Gail Williams, Jeff Nelsen, and Daniel Perantoni; to composers Jodie Blackshaw, Michael Colgrass, John Corigliano, David Maslanka, Joel Puckett, Alex Shapiro, Frank Ticheli, and Dana Wilson; to jazz and pop performers Ingrid Jensen, Manhattan Transfer, and Big Bad Voodoo Daddy. As a passionate advocate of music in the schools, Dr. Taylor is in high demand as a festival adjudicator, rehearsal clinician, and guest conductor throughout North America and internationally. The multiple award-winning Spanish clarinetist Jose Franch-Ballester (FrAHnk Bai-yess-TAIR) has been hailed for his “technical wizardry and tireless enthusiasm” (The New York Times), his “rich, resonant tone” (Birmingham News), and his “subtle and consummate artistry” (Santa Barbara Independent). Recipient of an Avery Fisher Career Grant in 2008, and winner of both the Young Concert Artists and Astral Artists auditions, he is a solo artist and chamber musician in great demand. As a concerto soloist he made his New York debut in 2006 with the Orchestra of St. Luke’s at Lincoln Center. He has also performed with the BBC Concert Orchestra, Louisville Orchestra, Princeton Symphony Orchestra, Santa Barbara Chamber Orchestra, Wisconsin Philharmonic, Louisiana Philharmonic, Hilton Head Symphony Orchestra, Malaysian Philharmonic Orchestra, and various orchestras in his native Spain. Mr. Franch-Ballester has appeared in such recital venues as New York’s 92nd Street Y, the Isabella Stewart Gardner Museum in Boston, Iowa State University, the Buffalo Chamber Music Society, and the Mondavi Center for the Performing Arts. 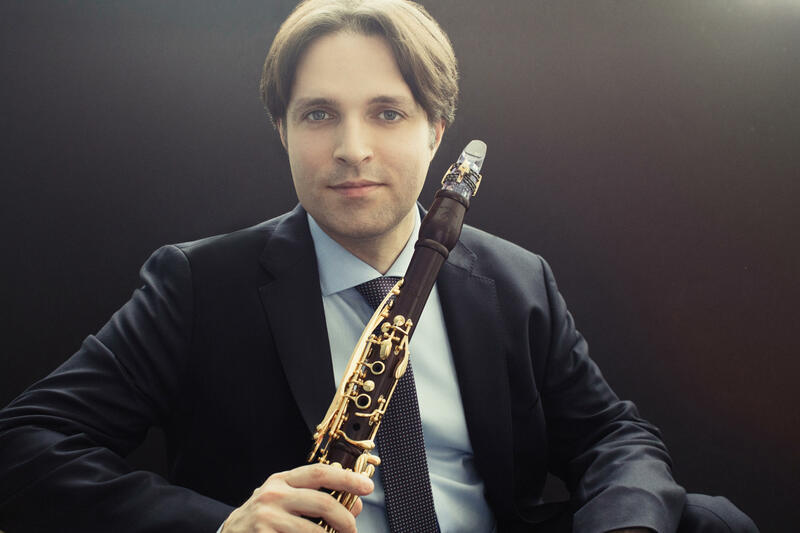 He performs regularly with the Chamber Music Society of Lincoln Center both in New York City and on tour, and serves as principal clarinet of Camerata Pacifica, a chamber music collective in Santa Barbara, California. Mr. Franch-Ballester is artistic director of miXt, an ensemble of award-winning soloists from the Young Concert Artists roster that he founded in 2012. Performing in a variety of configurations, miXt made its New York and Washington debuts in YCA’s series at Merkin Hall and the Kennedy Center. His instrumental collaborators have also included the American, St. Lawrence, Jupiter, and Modigliani string quartets. An avid proponent of new music, he performed the world premiere of Jake Heggie’s Winter Roses in 2004 with mezzo-soprano Frederica von Stade at Camerata Pacifica. During the 2011-2012 season, he premiered two new works by Spanish composers: Il Concerto by Oscar Navarro, with the Orquesta Sinfónica del Principado de Asturias in Oviedo, Spain; and Concerto Valencia by Andrés Valero-Castells, with the Orquesta de Valencia. Mr. Franch-Ballester’s commitment to new music has led him to commission and work with such contemporary composers as Kenji Bunch, Paul Schoenfield, Edgar Meyer, William Bolcom, George Tsontakis, Andrés Valero-Castells, Oscar Navarro, and Huang Ruo. He is also a dedicated music educator, developing new audiences through countless educational concerts and workshops for young people and community audiences. In the 2017-18 academic year he takes up a new post as assistant professor of clarinet and chamber music at the University of British Columbia in Vancouver, Canada. Performing regularly in Spain, Mr. Franch-Ballester has appeared with the Orquesta de Radio y Television Española, Orquesta de Valencia, Orquesta Sinfónica del Principado de Asturias, and Orquesta Sinfónica del Valles. He is the founder of Jose Franch-Ballester i amics (and friends), a series of concerts in which young musicians from all over the world are presented in Mr. Franch-Ballester’s hometown of Moncofa and throughout the Valencia area. Valerie Whitney serves Assistant Professor of Horn and Director of Brass at the University of British Columbia. Prior to her appointment at UBC, Valerie entertained audiences across the Midwestern United States for over a decade, with regular appearances with the Chicago Symphony Orchestra, the Milwaukee Symphony, Grand Rapids Symphony, and Lyric Opera Orchestra . She is currently Third Horn of the South Bend Symphony Orchestra, Fourth Horn of the Lake Forest Symphony Orchestra, and a member of the Millar Brass Ensemble. She appears regularly with regional performing organizations as an orchestral and chamber musician, and is earning an international reputation with a recent engagement with the Wuhan Philharmonic (Wuhan, China). She served as hornist of the acclaimed Fifth House Ensemble from 2013-2016, and has presented masterclasses and workshops at high schools and universities around the US and Canada. 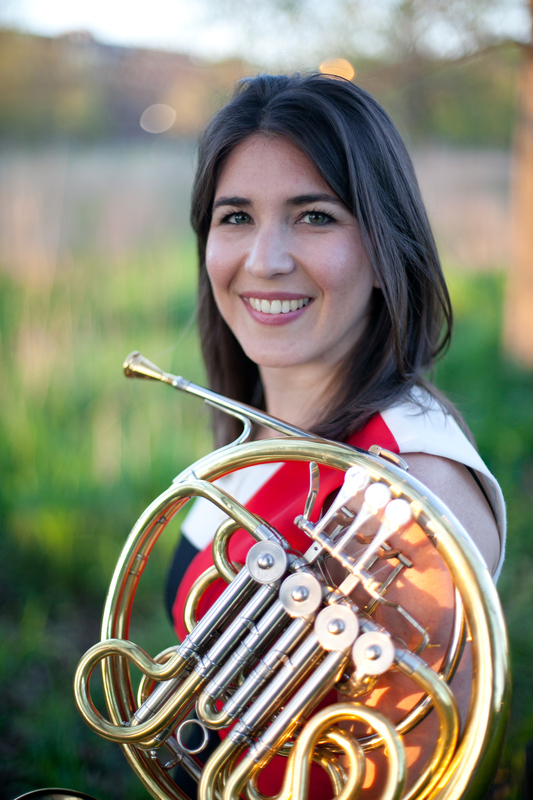 Valerie holds a DMA in Horn Performance from Northwestern University, and is a graduate of Northwestern University (MM) and Wheaton College (BM). Jeremy Berkman earned a BA in Economics and a BMus from Oberlin College and Conservatory of Music. After receiving his MMus from the Juilliard school, and working at the Aspen Music School for several summers, Mr. Berkman came to Canada to study at the Banff Centre, where he developed projects with dancers, actors, film-makers, as well as wonderful musicians. Now a Canadian citizen and BC resident for over twenty -five years, Jeremy has earned an acclaimed and varied career in musical performance and production. He is a Founding member and Director of Education for Vancouver's award winning Turning Point Ensemble (TPE) chamber orchestra. 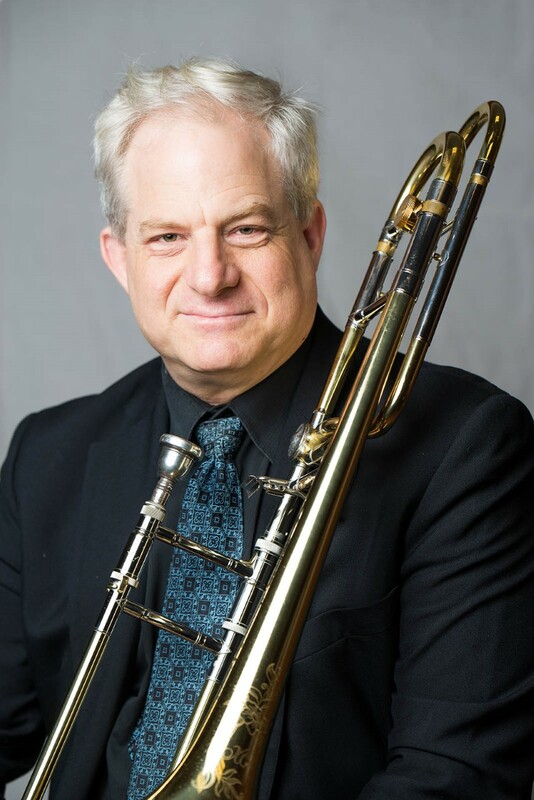 Currently also the Principal Trombonist with the Vancouver Opera Orchestra, he makes music with outstanding colleagues in A Touch of Brass Quintet, cellist Peggy Lee’s octet (The Peggy Lee Band), and big bands led by John Korsrud (Hard Rubber Orchestra), Fred Stride, and Jill Townsend. He has contributed to over 30 commercially released recordings with artists ranging from free-improvisers to popular singers and songwriters such as Matthew Good and Michael Bublé, and also including five with the Peggy Lee Band (PLB) led by cellist Peggy Lee. With PLB he has toured nationally and internationally and been nominated for a Juno Award. He commissioned, recorded, and toured fellow TPE Co-Artistic Director Owen Underhill’s Trombone Quintet with Montreal’s Bozzini String Quartet, with the recording (Still Image) and composition nominated for the 2012 Western Canadian Music Awards. His most recent passion is exploring the music of the 1500s and 1600s as a member of Cappella Borealis, a sackbut quartet with fellow UBC faculty member Alex Fisher, and UBC Alumni Ellen Marple and Nathan Wilkes. Jeremy was honored with Vancouver’s Mayor’s Arts Award (Music) for his leadership and contributions to Vancouver’s musical communities. Mr. Berkman is a sessional instructor of trombone and chamber music coach at UBC, and enjoys working with young musicians as they open the wonderful windows to the world that music offers, and is thrilled to be performing at this year's Cantando Festival with UBC's Symphonic Wind Ensemble. Choral music thrives at CWU, with four traditional choirs and two jazz-vocal ensembles offered quarterly. The groups comprise a mixture of voicings, repertoire specialties, and ability levels – meaning at Central there is a choir for everyone who likes to sing!Each choral ensemble has its own identity and takes special pride in what it does. The groups, totaling over 200 singers, provide a wide variety of quality choral repertoire, singing to thousands of audience members annually. Everything from classical to comedy, madrigals to multi-cultural music, and repertoire which includes holiday music to vocal jazz is presented in multiple concerts during the year. Non-auditioned groups include the popular Wildcat Chorus (tenor/bass Choir), Vox Divina (soprano/alto choir) designed for those sopranos and altos with some choral experience and reading ability, as well a large SATB group, the University Chorale. The one auditioned choir is Central’s premier traditional choral ensemble, the Chamber Choir. A rigorous audition is required for entrance. Female singer performing with other students singing in background Students are encouraged to be in one of the two vocal jazz ensembles at CWU. 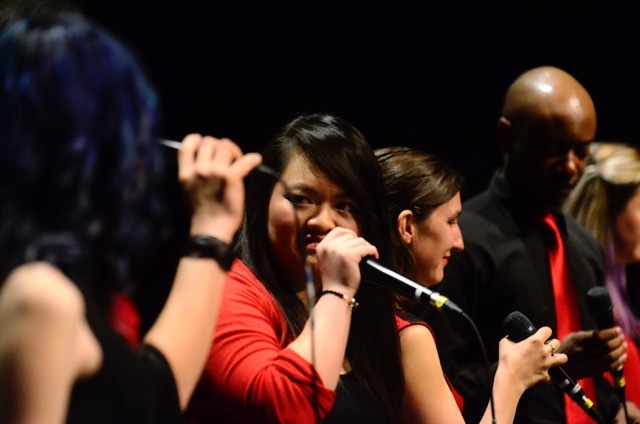 Vocal Jazz I, Central’s award-winning premier vocal jazz ensemble, is directed by faculty member Professor Vijay Singh. 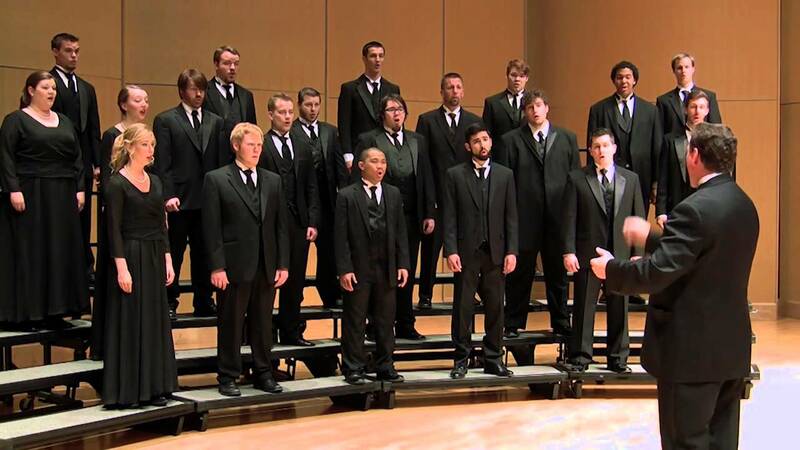 The CWU choirs are known across the country in both the traditional and jazz idioms. The CWU Chamber Choir has sung at multiple state and regional conferences in the recent past, and its presence on YouTube has garnered attention worldwide. The Vocal Jazz One ensemble is by all accounts one of the premiere groups of its kind in the country. VJ1 has sung at multiple state, regional and national conferences - most recently at the 2015 national ACDA conference in Salt Lake City and the 2018 NWACDA conference in Portland, Oregon. In 2006 Dr. Gary Weidenaar arrived to become the Director of Choral Studies at Central Washington University, where over 200 singers make up the four traditional choirs and two vocal jazz ensembles which comprise CWU’s choral offerings. Dr. Weidenaar’s duties include conducting the Chamber Choir and Vox Divna, as well as teaching choral methods, choral literature, and conducting at both the undergraduate and graduate levels. He is also advisor to the student chapter of the American Choral Directors’ Association (ACDA). Dr. Weidenaar has a wide-ranging background in teaching. He taught at public or private schools in Michigan, Germany, Norway, and California for a total of fifteen years – nine of those years overseas . His assignments included teaching everything from 3rd-13th grade students in choral, general and instrumental music courses at various times. In 2012, Dr. Weidenaar received the outstanding teaching award in CWU’s College of Arts & Humanities. Having earned BM and MM degrees from Western Michigan and Michigan State Universities respectively, Dr. Weidenaar received his Doctorate from the University of Kansas in 2002, after which he spent four years on the Northern Arizona University faculty. Dr. Weidenaar spends a great deal of time with directors and/or choirs of all levels. He has presented workshops to music educators in Utah, Arizona, Kansas, Washington, Nevada, California, Michigan, Oregon, & Colorado as well as in Switzerland, Sweden, British Columbia, the Netherlands, Norway, and Germany. He has adjudicated, served as clinician, or conducted over 1,700 choirs since 2002. A lifetime member of the American Choral Director’s Association (ACDA), Weidenaar served as President of the Northwestern Division of the American Choral Directors Association (ACDA) from 2012-2014, and received the ACDA Leadership Award for Washington state in 2015. Since 2008, CWU’s Chamber Choir has appeared at two state conferences, and three regional conferences for both ACDA and NAfME. In 2015, the Chamber Choir received an invitation to take part in the prestigious Tolosa International Choir Competition. The choir spent twelve days in Spain, and presented five concerts. including one in the Cathedral in Léon, one of most historically significant buildings in the world. The Chamber Choir is known throughout the world, with thirty professionally edited YouTube Videos, viewed worldwide more than 1,700 times in total on an average day. The music of composers Ola Gjeilo and Vijay Singh comprise more than half the videos, with music of Rautavaara, Byrd, Monteverdi, Muehleisen, Gretchaninov and others filling out the rest. In 2014. Weidenaar produced a concert of 28 of Vijay Singh's compositions. Dr. Weidenaar conducted the complete Messiah, with 17 student soloists, also in 2014. Ola Gjeilo returned to the CWU campus in April, 2017 for a fourth recording session with Chamber Choir. The Department of Music at MacEwan University has been devoted to serving musicians who wish to undertake a serious, systematic study of jazz and contemporary popular music. The program offers a Bachelor of Music degree in Performance or Composition, as well as a General Studies with a major in Recording and Production and minors in Music Technology and Production, Music and Career Management and Music Education. Within the milieu of the academic post-secondary music program, students are provided with the skills, insights, competencies, and the credential needed to pursue a career as a professional musician—as a player, a creator, and a leader—in the evolving music industry of the twenty-first century. The MacEwan University Faculty/Student/Alumni Big Band is an ensemble that has been created for special occasions such as today’s performance. It brings together some of MacEwan’s most accomplished grads from across Canada; current students perform alongside MacEwan fulltime and adjunct faculty, representing the finest in Edmonton’s jazz community. Big bands have been an integral part of the MacEwan University music program for 45 years. These flagship ensembles provide students with a curricular opportunity to gain performance experience in contemporary big band music. For 34 seasons, MacEwan’s premiere band has been under the directorship of Raymond Baril. The big bands have had the distinct privilege of working with internationally renowned musicians such as Maria Schneider, Bob Mintzer, Wayne Bergeron, Eddie Daniels, Jack Wilkins, Jens Lindemann, Ernie Watts, Sunny Wilkinson, Phil Woods, Dizzy Gillespie, Bobby Shew, Christine Jensen, as well as Edmonton’s own PJ Perry, and the late Tommy Banks. They have been a featured ensemble at the Edmonton International Jazz Festival, Cantando Music Festival, MusicFest Canada, the Alberta International Band Festival, Rocky Mountain Festival and the International Association of Jazz Educators Conference in Washington D.C. The big bands perform their own annual concert series, as well as at numerous educational functions and civic and community events, including a performance for the Duke and Duchess of York. In 1990, they recorded a one hour music special for the CBC-FM national network. The students have also traveled to many national music festivals, receiving both Gold and Most Outstanding Band awards in their class. In 2005, the MacEwan Big Band released its first CD, “First Time Out” which received praise from both local and national media. Raymond Baril is Assistant Professor of Music and Section Head for Winds and Brass in the Department of Music at Grant MacEwan University, and, for the past 30 years, he has been the Director of the MacEwan University Jazz Ensemble. He is in his 18th season as Artistic Director and Principal Conductor of the Edmonton Winds and recently has taken on the role as director of the River City Big Band. Prior to his appointment at MacEwan University, Raymond was a music educator with Edmonton Public Schools, conductor of the University of Alberta Concert Band, Executive Director of the Alberta Band Association and, worked as assistant conductor for the Cosmopolitan Music Society. Raymond remains a much sought after national clinician and adjudicator as well as a featured guest speaker at music education conferences across the country. Raymond continues to work as one of Edmonton’s busiest saxophonists and woodwind doublers. He was a regular member of the Tommy Banks Big Band for 25 years and is currently a member of the Edmonton Jazz Orchestra. He has appeared with the Edmonton Symphony Orchestra on numerous occasions as a section member and soloist, as well as a guest conductor. He also continues to be in demand as both a conductor and woodwind specialist for pit orchestras in various local and touring productions. In 2005, Raymond’s ensembles released two CDs: First Time Out with the Grant MacEwan College/University of Alberta Big Band and Among Friends with the New Edmonton Wind Sinfonia. 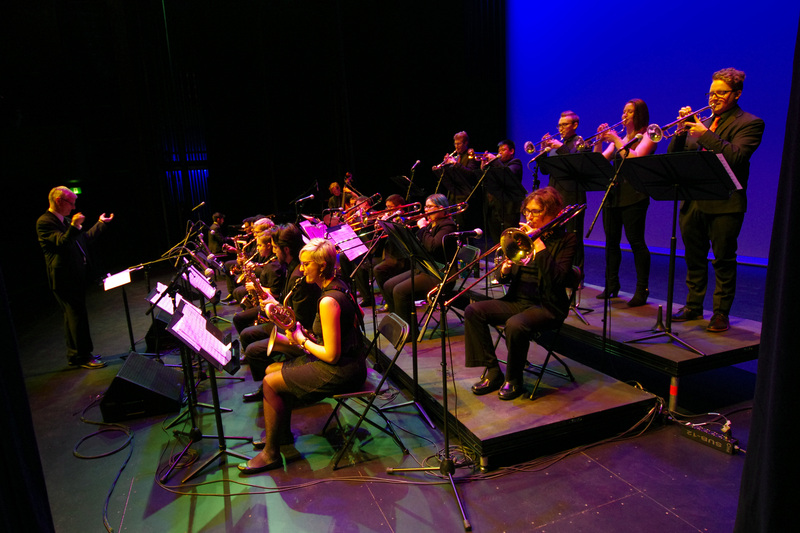 In 2011, the New Edmonton Wind Sinfonia released a second CD, O Music, which featured the wind band works of Edmonton composer Allan Gilliland, and won a Western Canadian Music award in 2012. Raymond attended Northwestern University in Evanston, Illinois where he received a Master of Music degree in conducting. 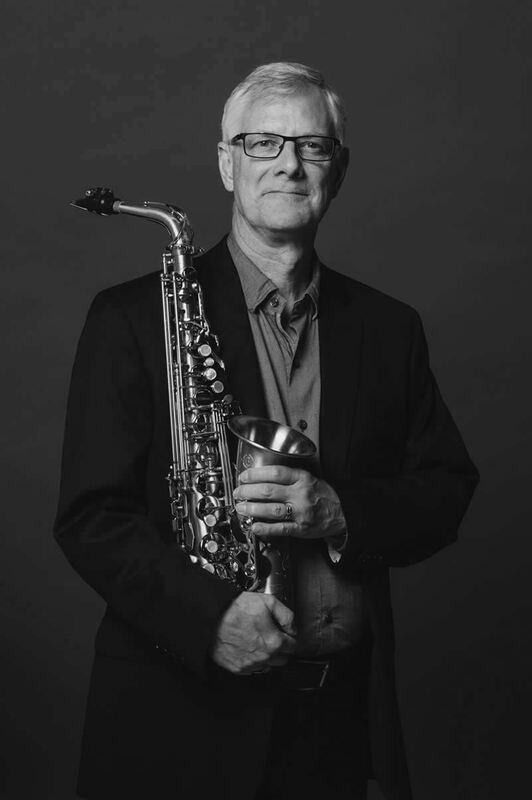 He holds undergraduate degrees in both music performance and education from the University of Alberta, and is currently working on his Doctorate in Saxophone Performance at the University of Alberta. Raymond has been the recipient of many awards for his contribution to music and music education including the Tommy Banks Award, presented by the Alberta Foundation for the Arts, and the David Peterkin Memorial Award, presented by Phi Beta Mu. He has also received the Elkhorn Award for Director of the Year by the Alberta Band Association, the Best Teaching Practices Award from the Alberta Teachers’ Association, a District Service Award from Edmonton Public Schools, and an Excellence in Teaching Award from Alberta Learning. Walker was raised in Greenville, Kentucky and graduated from Central City High School in Central City, Kentucky. He attended the University of Louisville, where he graduated with honors. After graduation, Walker joined the United States Military Academy Band at West Point; at the same time, he studied flute with Harold Bennett, principal flutist of the Metropolitan Opera Orchestra. Other significant teachers have been Sarah Fouse, Francis Fuge, James Pellerite, and Claude Monteux. In 1969, he joined the Pittsburgh Symphony as associate principal flutist. After eight years in Pittsburgh, Zubin Mehta appointed him as principal flutist with the Los Angeles Philharmonic, a position he held from 1977 until 1984. He also played principal flute for the New York Philharmonic (under Mehta) for that orchestra's 1982 South American tour. In 1980, Walker organized a jazz quartet featuring flute, piano, bass and drums. This group later become known as Free Flight. In 1984, he left the Los Angeles Philharmonic to concentrate on his work with the quartet and to do freelance work in Southern California and beyond. "After 15 years as a classical player, it was enough", Walker said in 1987. "In the beginning, I felt I was playing honest, wonderfully inspiring music. But after hundreds of repetitions, it wasn't so inspiring." He has collaborated with many other flutists including James Galway and Jean-Pierre Rampal, and has also worked with other well-known musicians including Wayne Shorter, Leonard Bernstein, Dudley Moore and many others in concert and recordings. Walker is currently on the faculty of the USC Thornton School of Music and the Colburn School. He has been visiting professor at Duquesne University, the University of North Texas, University of Texas at Austin, and Arizona State University. He has conducted flute master classes and clinics in the U.S., Canada, Europe, South America, Korea, Japan and Russia. Dr. Gilliland is one of Canada’s busiest composers. He has written music for solo instruments, orchestra, choir, brass quintet, wind ensemble, big band, film, television and theatre. His music has been performed by ensembles and soloists from around the world and recorded on over 20 CDs. From 1999‐2004, Gilliland was composer-in-residence with the Edmonton Symphony Orchestra. He has also been composer-in-residence at the Festival of the Sound in Parry Sound, the Colours of Music Festival in Barrie, Ontario and the Strata New Music Festival in Saskatoon, Saskatchewan. In 2002, his orchestral work On the Shoulders of Giants took first prize at the prestigious Winnipeg Symphony Orchestra’s Centara New Music Festival Composers Competition. In 2012, his CD O Music was nominated for two Western Canadian Music Awards and won for Best Classical Composition. Allan has also won composition contests sponsored by Pro Coro Canada and the Alberta Band Association as well as first place in the Jean Coulthard Competition for Composers and the Lydia Pals Composers Competition. Gilliland holds a diploma in Jazz Studies (trumpet) from Humber College, a Bachelor of Music degree in performance and a Master of Music degree in composition from the University of Alberta and a PhD in Composition from the University of Edinburgh. He has taught at the University of Alberta, the University of Edinburgh, Red Deer College and MacEwan University in Edmonton, Alberta , Canada where he is currently the Dean of Fine Arts and Communications.